Twenty-three poems capture the joys of reading. From that thrilling moment when a child first learns to decipher words, to the excitement that follows in reading everything from road signs to field guides to internet articles to stories, these poems celebrate reading. They also explore what reading does -- how it opens minds, can make you kind, and allows you to explore the whole world. 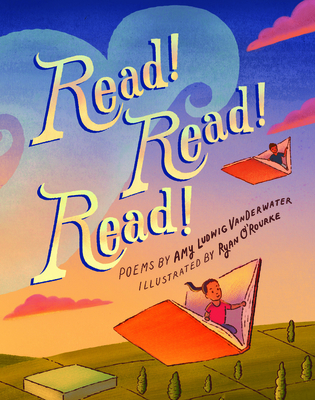 Ryan O’Rourke’s rich artwork beautifully captures the imagination and playfulness in these poems by noted author Amy Ludwig VanDerwater.